Instagram, widely used in Iran among small business owners, students, influencers and even senior officials, is the latest social media application to come under scrutiny and a potential ban. Minister of information and communication technology Mohammad Javad Azari Jahromi was seemingly taken by surprise by the announcement. “Assuming that the statements of the Vice-Attorney General are correct and that he has the legal authority to ban Instagram, the question that arises is that what is going to happen next?” he demanded. The minister’s stance underlines a bitter rift between the moderates in the administration and the hardliners governing the judiciary in a battle over the control of social conduct and lifestyle in Iran. The government of centrist President Hassan Rouhani has been sparring with the judiciary and the National Cyberspace Council appointed by the Supreme Leader to block various bans from being instituted. But it seems Rouhani has limited jurisdiction when it comes to matters under the control of the leader and his conservative, unelected allies. In a reference to state control over communications, President Rouhani once famously said his administration “will not press the ‘filter’ button.” Nevertheless, his government was defeated when the conservative-led judiciary banned the Russian secure communications application Telegram in May 2018. Before the blackout, Telegram was used by some 40 million people in Iran, or half the population, who not only used it for keeping in touch with each other, but to boost their businesses and enterprises online. Now, the turn may have come for Instagram, which is similarly popular among Iranians, especially young ones. Hardliners in the parliament, state-run TV, judiciary and others in the public sphere are campaigning for it to be blocked. Almost all major social media sites are banned in Iran. Twitter was blocked in the wake of the 2009 post-election protests that swept across the country after the incumbent Mahmoud Ahmadinejad was announced the winner of the presidential polls after what millions of Iranians believed to be a fraudulent campaign. At that time, Twitter was used as a medium by citizens both to organize demonstrations and protests and to voice their unhappiness at Ahmadinejad and the state bodies who supported him. US-based Facebook, which now owns Instagram, was similarly banned in 2009 for its contribution to the organization of anti-government protests. That ban remains in force. Although these platforms are officially inaccessible to the public, many Iranians continue to use them by circumventing the bans through VPNs and proxy servers. Moreover, while Facebook and Twitter are meant to be blocked, the majority of government officials, high-ranking military figures and their protégés maintain official pages and accounts on the social media platforms. Supreme Leader of Iran Ayatollah Ali Khamenei, for example, has a Twitter account with 539,000 followers. He is also on Instagram with 2.3 million followers. Qassem Soleimani, who commands the Iranian Revolutionary Guards Corps Quds Force, has an Instagram page with 729,000 followers. Iranian Major General Qassem Soleimani responds to US President Donald Trump’s Game of Thrones-inspired social media threat with one of his own, via Instagram. 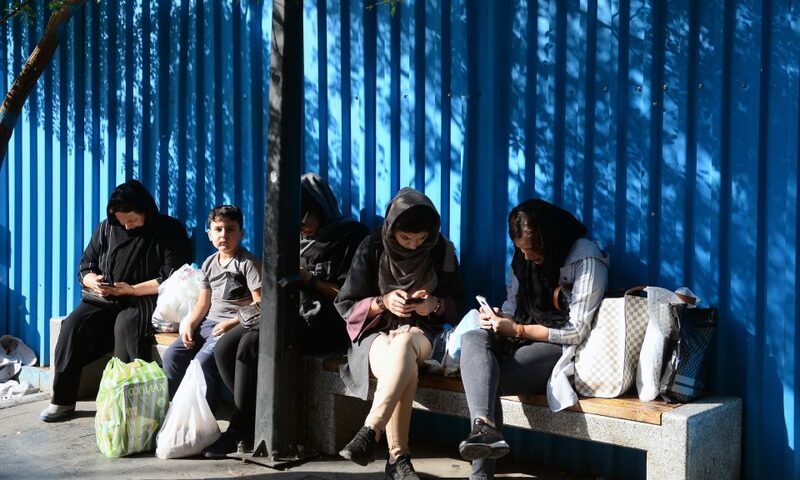 When questioned on why social media platforms should be blocked, Iranian authorities cite vague reasons such as protecting national security and moral values. However, they have no compelling explanation as to why government officials maintain an active presence on these platforms while the public is discouraged from using them. Arshin Adib-Moghaddam, Professor in Global Thought and Comparative Philosophies at the School of Oriental and African Studies in London, believes a possible ban on Instagram will have “zero influence” on the Iranian people. “Psycho-nationalist tactics such as the intended ban on Instagram, if it goes ahead, are short-sighted and self-defeating,” he said. After the ban on Telegram was introduced, various state bodies encouraged people to use a local version of a Russian app called Soroush to keep in touch and share pictures, videos and audio files online. But Telegram continues to be well-liked and many of its users remain loyal to it. The public also do not trust the Iranian version of Telegram, thinking that their data might be accessed by the government. Now, in the absence of a powerful rival, Instagram’s monopoly over mobile-based photo and video sharing seems to be similarly unstoppable. “I don’t think banning Instagram will remarkably reduce the number of its users, because after all, we don’t have a better platform to use as an alternative,” said Saeed Salehnia, a 26-year-old university student who runs the University of Guilan students’ page on Instagram with 32,000 followers. For the university in northern Iran on the Caspian Sea coast, Instagram is an important social connector. “It’s not only our page, many other pages on this platform have built on the features of this application and have contributed to the betterment of business and improvement of the economic climate in our society, including through replacing the excessive cost of printing and using paper,” Salehnia told Asia Times. Social networking platforms are not merely used for entertainment and fun or connecting netizens in Iran. They also help business people promote their jobs and make profits. Mitra Ghowsi, a hairdresser and representative of a cosmetic products line in the northwestern city of Khalkhal, believes any possible ban on Instagram would adversely affect her work. “We used to hold online meetings with our colleagues through the Zoom video conferencing app. Since [the government] banned it, we use Instagram Live,” she said. Ghowsi emphasized that although the ban would be“detrimental” to her business, it would not be effective in blocking people’s access to the latest information.